About the Lecture: Flocks of birds flying every morning and evening or ants crawling in one direction are a common sight. Why is it so? This talk will bring out how nature inspires us to explore such fascinating phenomena in laboratory. Professor Ajay Kumar Sood is President of the Indian National Science Academy (INSA) and Honorary Professor for Physics at the Indian Institute of Science, Bengaluru. Professor Ajay Sood has made outstanding contributions in both hard and soft condensed matter that are profound in terms of experimental discovery as well as theoretical understanding. He has developed some of the finest experimental techniques, applied them to discover many fascinating natural phenomena, and used them to design sensitive devices for practical applications. Some of his research interests lie at the interface between physics and biology. Prof. Sood has been honoured with a large number of prestigious awards which include the S.S. Bhatnagar Award (1990), TWAS prize (2000), G.D. Birla Science Award (2000), Bhabha medal of INSA (2002), Materials Research Society (India) Medal (2000), Millennium Gold Medal of Indian Science Congress (2000), M.N. Saha Birth Centenary Award of the Indian Science Congress (2003-2004), Sir C.V. Raman Award (2003), Goyal prize (2003), National Award in Nanoscience and Nanotechnology, DST (2006), Bhatnagar Fellowship of CSIR (2007), G. M. Modi Award (2012), R D Birla Award for Excellence in Physics by IPA (2014), Life Time Achievement Award by Optical Society of India (2016), Distinguished Alumnus Award of IISc (2016) and MRSI Distinguished Material Scientist of the Year (2016). 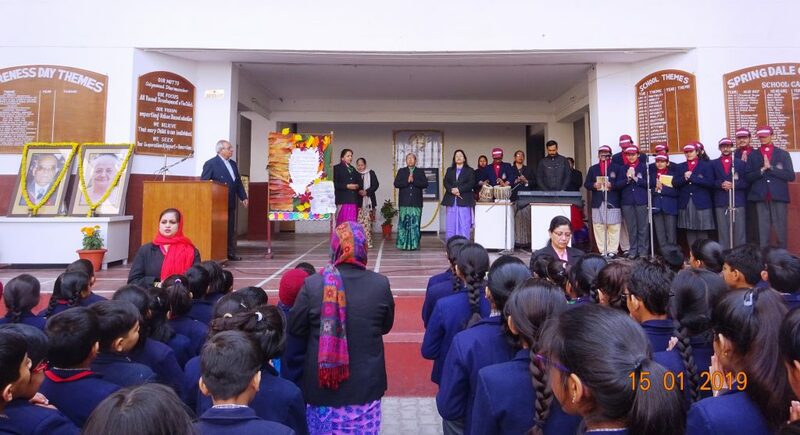 The Education Foundation Lucknow was founded to take the mission and vision of founders of Spring Dale Institutions (Shri B. S. Sood, 1923 – 1994 and Smt. Krishna Sood, 1928-2013) forward. 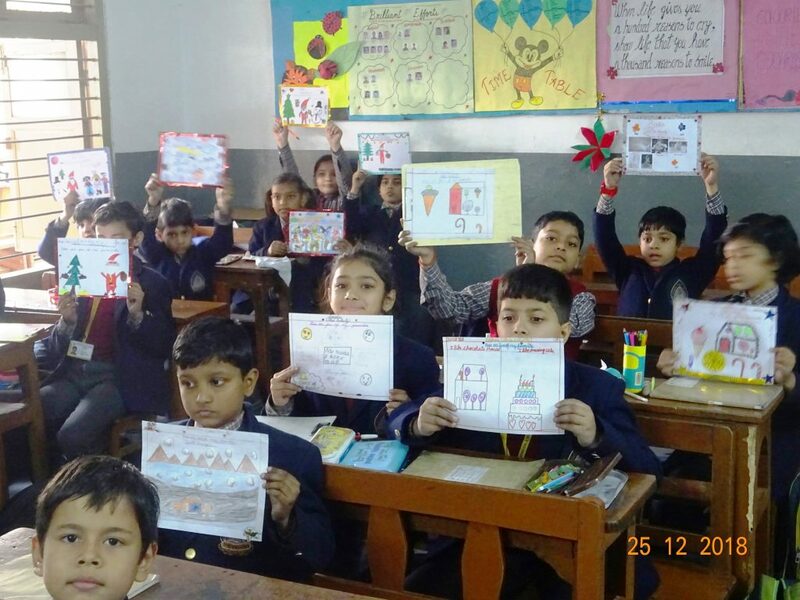 The Foundation strives to achieve excellence in pedagogy, curriculum and systems of education, improve educational access and find ways to move towards a more equitable, humane and peaceful society by engaging in research, dialogue and advocacy. 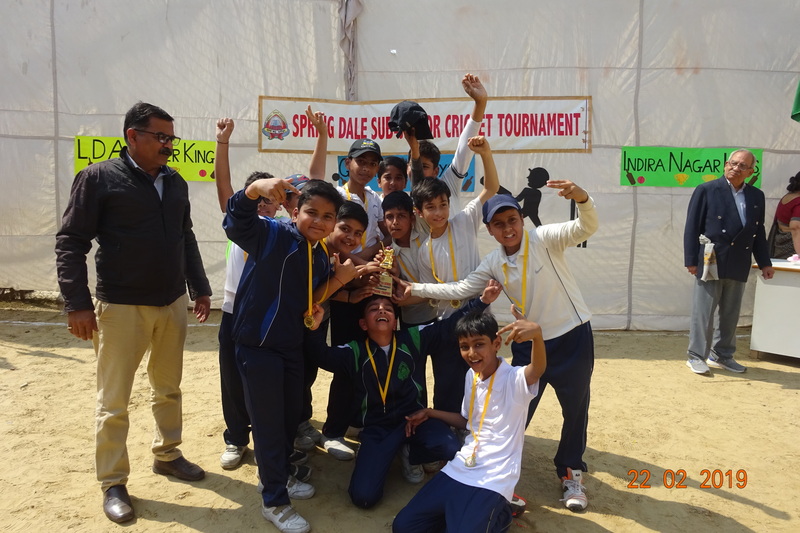 The Gomti Nagar Branch hosted the 6th Sub Junior Cricket Tournament on 22nd February 2019. 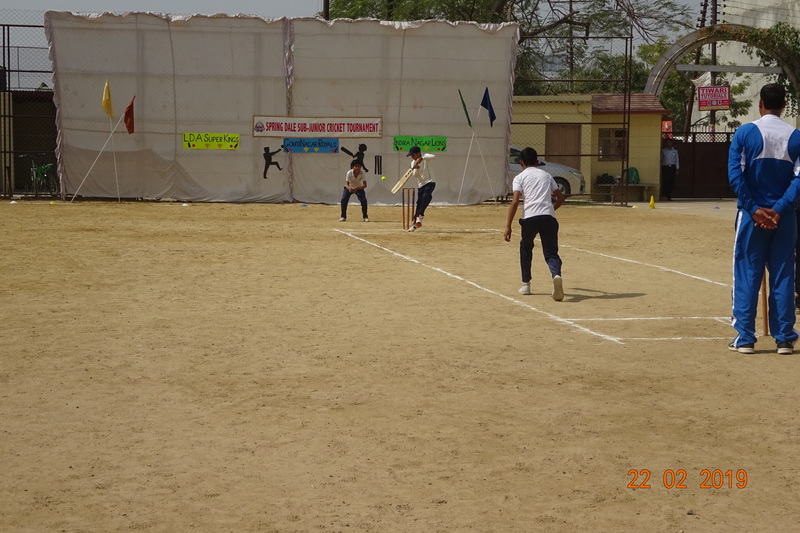 Our young cricketers from the three teams got an opportunity to show case their talent on the field. The three teams Gomti Nagar Royals, Indira Nagar Lions and LDA Super Kings set the ground ablaze with a flurry of sixes and fours. After playing the semifinals with LDA Super Kings, the Gomti Nagar Royals went on to play finals against Indira Nagar Lions. The players of both the teams put up an exceptional show of their batting and bowling skills and thoroughly entertained the audience, who were continuously cheering the players. The captain of Indira Nagar Lions, Ayaan Khan hit a flurry of sixes, took some good wickets and led his team to victory. The title for the man of the match went to Ishan Rai of Indira Nagar Lions and the man of the series went to Rudransh Sharma of Gomti Nagar Royals who won this for the third year in a row. It was really enthralling to watch the budding cricketers display their talent and their cricketing skills. All the three teams took the results in a sporting spirit and congratulated each other. A puppet show was setup by the teachers as kids of any age like to watch it. 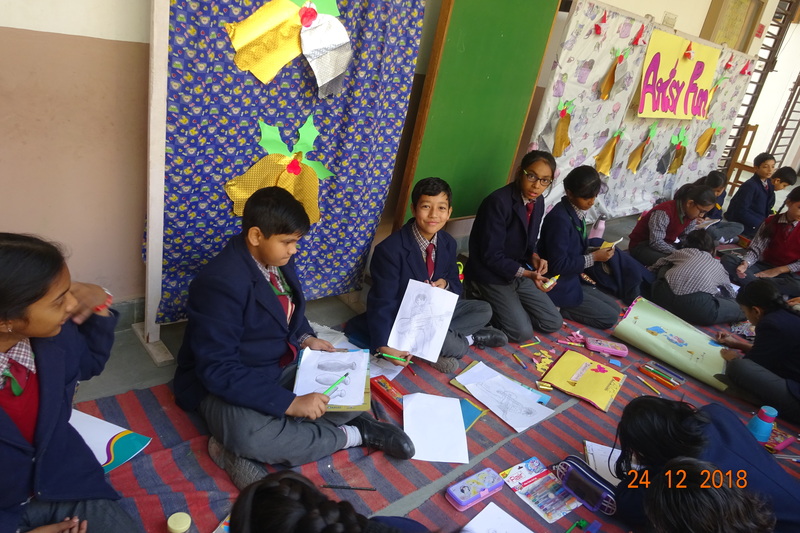 Some students showcased beautiful shading, poster making, collage and other craft items where as others enthralled everyone by the notes of their guitar and also through their singing. 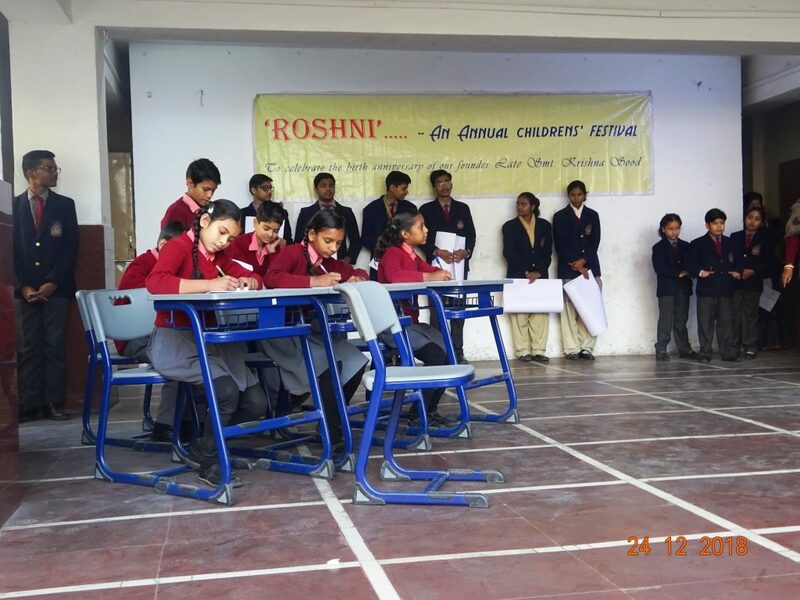 The little ones spoke about their favourite games and their favourite personality. It was fun to watch the kids making eatables without fire. It was a day marked with celebration and fun. The season of festivities is here, the air is filled with happiness and vibes of enthusiasm and here we are with something exciting for all of you. Mothers need to realize that they are not just caretakers of home. It is very normal for women to forget themselves after they become mothers, but after sometime they need to pause and reflect on their lost individuality and keep them in high sprits. 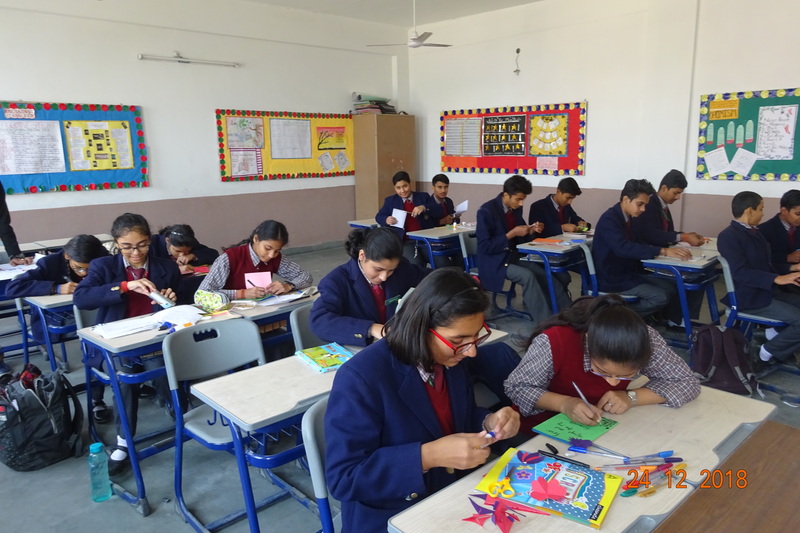 Aiming towards this aspect our Gomti Nagar Branch and Edu Sports made a conjoined effort to bring back the fun and laughter through some stress releasing and fun filled games like flip the saucer, cross the river, popcorn race, etc. The mothers accompanied by their friends took part in various games organized with great enthusiasm. It was an opportunity for the mothers to relive their childhood and bring out their zeal and zest by participating in the various activities. The prize winners of the various games were beaming from ear to ear.